Office Location: Sliema, Malta. Employees can also work full time from this office. 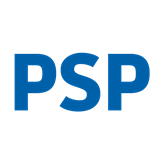 PSP Media was established in 2015 to plan, develop and operate cloud-based web and mobile applications for the sports industry. Today our B2B offering is used by several high-profile national and international sports clubs, associations and federations such as football clubs of the German Bundesliga and the United States Soccer Federation. For them we are now serving hundreds of thousands of users worldwide. 2019 will be an exciting year for us. Not only have we decided to establish a remote-first culture at PSP Media, but also our offering will grow: We will soon launch training.app, a B2C platform for sports coaches of all levels anywhere in the world, helping them to improve their coaching by giving them access to high-quality coaching content across all their devices. Our development team currently consists of 8 developers, evenly split between Backend and Frontend. Given our non-remote past the majority of us is still based in Malta but this will begin to change in the next few months. And we are more than happy to still welcome you in sunny Malta - at least during your onboarding period to spend some good time together and bring you up to speed efficiently. Want to get notified about new jobs at PSP Media?